We cant get enough of sheet masks and this nifty number is a great contender for making skin look younger. One box contains six individual masks, all of which have been infused with a rich serum that hydrates skin and even helps to sharpen the jaw line. With this being one of Ren’s top-selling products, we expected big things and luckily, it really does live up to the hype. Whether your skin is congested, sun-damaged or just looking a little aged, this works to magically dissolve the bonds that hold dead skin cells, meaning your complexion will be revived and glowing. If your skin is seeking a moisture boost, you can’t go wrong with this clever concoction from our favourite French brand. The formula uses a biological complex which will basically retrain the skin in to generating hydration and better still, keeping it locked in. Not only will your skin be softer, but also more radiant thanks to its newly hydrated texture. 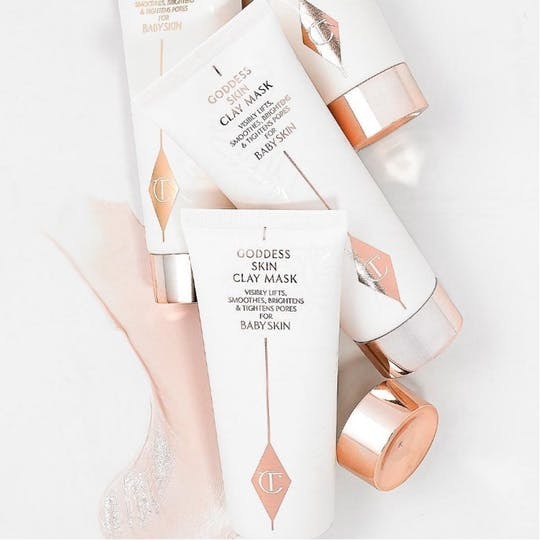 Charlotte Tilbury first stole our hearts with her incredible make-up selection, but now she’s upped the ante with this award-winning mask. Using an array of skin-loving ingredients, it tightens pores and clears complexions. And with 85% of users claiming it made their complexion brighter, we’re pretty much sold! These foil-backed sheet masks are made up with a whole host of ingredients that will do the world of good for your skin. Those clever people at Estée Lauder have coated each mask in foil in order to create a protective barrier that allows the blend to reach the skin faster and lock in moisture. With a double dosage of their famous Advanced Night Repair Serum, this one will renew and revitalise skin. Boasting a natural blend of green clay, manuka honey and aloe vera, this botanical mix reduces impurities and oiliness for a complexion that’s clearer and refined. Better still, its’ gorgeous rose-geranium scent will instantly relax you. We all experience dull and sluggish skin at times and here at G&G there’s one mask we always find ourselves reaching for. Containing a gentle but effective exfoliating blend of papaya, grapefruit and vitamin C, it reveals a complexion that’s brighter and smoother. Providing deep and invigorating exfoliation, this mask uses glycolic and lactic acids, which encourage a speedy skin cell turnover. In doing so, it resurfaces skin, helping to diminish scars, pigmentation and imperfections, all while unveiling a radiant glow. Every type of skin needs a good ol’ deep cleanse once in a while and we’re big fans of this purifying product. It uses Hawaiian sea water and Amazonian white clay to de-clog pores and extract even the most stubborn of toxins. As a result, your complexion will be clearer and pore size reduced. Shiseido’s advanced technology combined with vitamin E granules will help refine and firm skin in this reviving mask. Not stopping there, it includes a generous dosage of hyaluronic acid which locks in moisture and encourages a super smooth complexion.